Butter is a product made by churning cream or milk to separate the solids from the liquid while Margarine is a substitute for butter made from plant-based oils or is it? The story allegedly goes that Margarine was originally manufactured to fatten turkeys. Then they had a clever money making an idea by selling this “turkey supplement” for human consumption, since its edible and tasty anyway. The other story was that Hippolyte Mège-Mouriès created it in France in 1869 as a response to Emperor Napoleon III to create a butter substitute for the army and lower classes. It was first named oleomargarine from Latin for oleum (beef fat) and Greek for margarite (pearl indicating luster), it was later named margarine and a yellow tint color was added to make it appetizing. 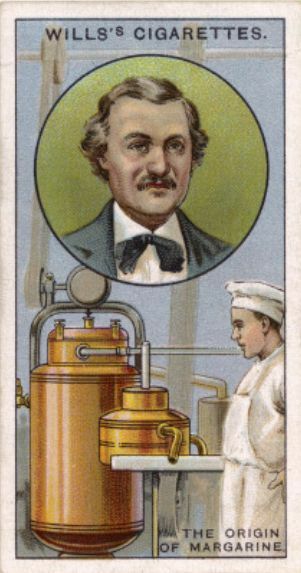 Mège-Mouriès sold his patent to Jurgens, a Dutch butter-making company, which eventually became part of Unilever, the world’s major producers of margarine. Margarine arrived in the US in the 1870s and threatened American family farms that produced naturally made butter. Despite the bad rumors about Margarine, it continues to be the top-selling spread, way ahead of butter. Truth is, it’s difficult to believe anything we find in the internet would be 100% true. Fact is, Margarine, specially those that are reformulated is a Billion Dollar business and has surpassed butter sales. The growing hate for Margarine will surely be met with “fake” positive reviews or possibly tweak history to add value to it. 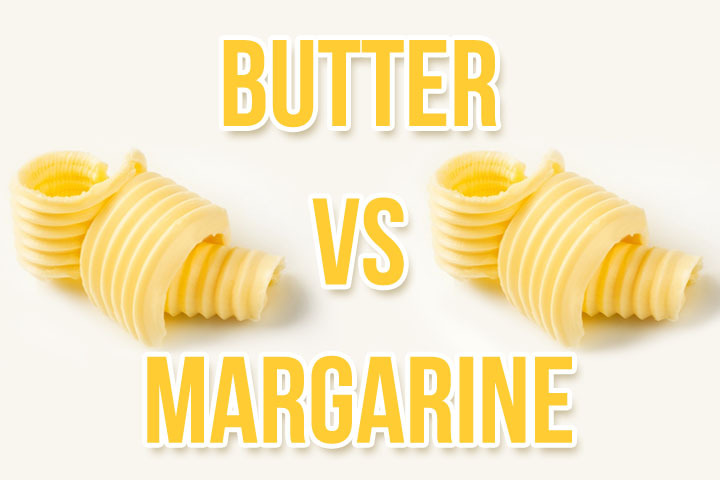 Whichever story was true, the unending duel between butter and margarine show that the natural process of butter making will still be better, despite its cholesterol. Related diseases Heart cholesterol May decreases immune and insulin response. Goodbye sugar, say hello to fat? This blog was obviously written to disparage Margarine which is said to have one molecule away from being plastic and apparently shares 27 ingredients with paint. Yes, it’s trans-fat, but neither being a close relative to plastic really matters a lot or eating trans-fat. Many substances share similar chemical structures or compositions which is a common attribute of many things we eat, touch, or feel. Companies have also reformulated margarine and removed trans-fats in their ingredients. Eating huge quantities of trans-fatty acid is bad, but having a few every now and then doesn’t really create a serious health problem. People have been eating natural trans-fat for centuries, yet many still lived a hundred years. So would you pass the butter, please?